Contact the surgery on 01748 876090. Our phone lines are very busy in the mornings so if you don’t require a same day appointment please call in the afternoon. All consultations with doctors and nurses are by appointment only, though accidents and emergencies will be dealt with as and when they arise. Doctors’ appointments are one every 10 minutes. If you think that you may need more time please ask for a double appointment to avoid overrunning into the next patient’s appointment. We use SMS messaging on mobile phones to confirm appointments booked and cancelled, and also send out reminders the day before. If you would like to use this service please give us your mobile number and keep us informed if it changes. If you don’t want this service please inform reception who will arrange this. We do not share or give your number to anyone else. To cancel your appointment when you get the SMS reminder simply follow the instructions, texting CANCEL to the number shown. This is an automated system and will only recognise the word CANCEL, so please don’t send any other messages to this number. We now offer telephone consultations for patients who need to be seen on the same day. We do not offer this service for children aged five and under. We find that nearly 70% of patients who use telephone consultations can be dealt with over the phone. If it transpires that you need to be seen, we reserve some appointments on the day so you can be seen without delay. You can also use the system to submit administrative queries if you have a question relating to test results, letters, medical reports or have a general enquiry. The service also offers access to reliable and trustworthy self-help generic information 24 hours a day, 7 days a week that may help you to avoid an appointment altogether. One of our big problems is patients who don’t attend their appointment. We lose about 130 appointments every month because of this. If you need to cancel an appointment, please let us known as soon as possible by calling us on 01748 876090. You can also cancel your appointment online via your online account. 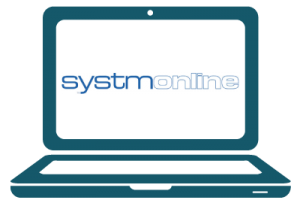 If you already have an online account simply click on the SystmOnline logo above to access your account. To register for an online account please contact reception on 01748 876090. If you have any questions about our services please give us a call on 01748 876090.